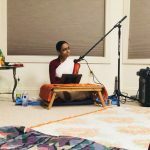 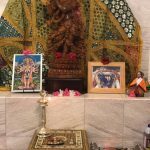 By the immense grace of Sri Swamiji, Hanumadh Jayanthi celebrations took place in a grand manner at the residence of Sri.Ravindran and Smt.Kouaslya in Redding on Saturday, April 15th 2017 from 4pm-8pm. 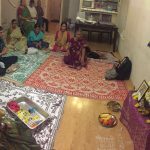 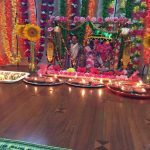 Akanda Nama Sankirtan took place from 4pm to 7pm followed by Hanuman Chalisa recital from 7pm to 8pm. 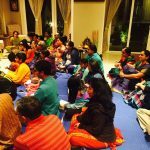 The satsang concluded with Harathi. 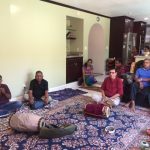 About 10 members attended the special satsang.